The Porsche 917 is surely the most famous Porsche racing car, although at the beginning of its career it had the dubious reputation of actually being undriveable. The reason for the teething troubles was quite simply a time problem: with just nine months between the first drafts and presentation at the Geneva Motor Show on 13 March 1969 there was no time left for testing. The air-cooled twelve-cylinder vehicle drove straight from the drawing board to the racetrack, so to speak. The design process had focused on aerodynamics – at the expense of downforce, i.e. driving stability. But one thing after another: in 1968 the FIA changed the regulations for the World Sportscar Championship out of the blue and the displacement limit was raised from three to five litres. This meant that the three-litre Porsche 908 was only competitive to a limited extent. A new five-litre car was needed. Driven by annoyance about the rule change, Head of Development Ferdinand Piëch gave the go-ahead to build the Porsche 917. The 31-year old engineer cast aside all doubts about the expensive project. He wanted a car capable of winning. At any price. And the risk paid off. But the 1969 racing season was a difficult year. The Porsche works drivers found it difficult to get to grips with the car. The handling performance was tricky. In the beginning, no races were won. But that changed on August 10, 1968: Jo Siffert and Kurt Ahrens won the 1000 km race on the Österreichring. This was the confirmation that the 917 was capable of winning. After the season finished, the body of the 917 was completely transformed: the rear, nose, sills and wings were completely reengineered. The windscreen, doors and roof of the old 917 were all that remained unchanged. This resulted in great improvements to the handling and the speed. The 917 suddenly had what it took to be a winner and was ready for the 1970 season. The John Wyers Gulf team and the Porsche Salzburg team entered the 917 in the World Sportscar Championship. The 620 hp race car lived up to its promise and won seven of eight of the season’s races. The 917 also demonstrated its superiority in Le Mans. 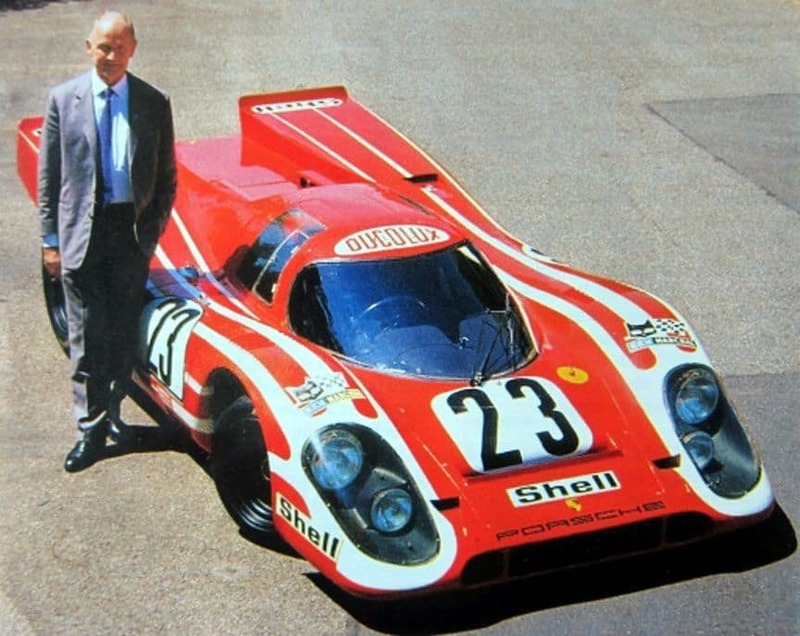 Hans Herrmann and Richard Attwood took first place in the red and white Porsche Salzburg 917 short tail. Porsche achieved its goal – overall victory at Le Mans. Gerard Larousse and Willi Kauhsen completed the result by taking second place in a 917 long tail. Now there was no stopping the Porsche 917. The hard work paid off. The winning streak continued. 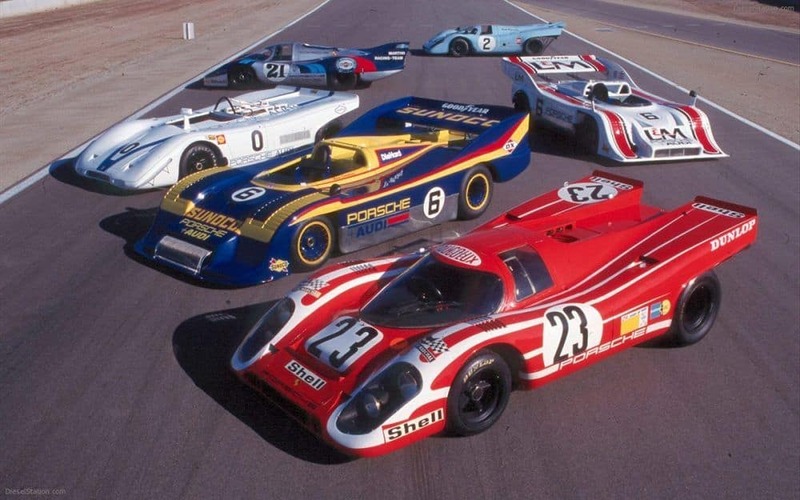 In the 1971 season, the 917 also won seven of eight races. And was once again triumphant at Le Mans. With 5,335.16 kilometres driven, the winning team Helmut Marko/Gijs van Lennep set a race distance record that was not broken for almost 40 years. 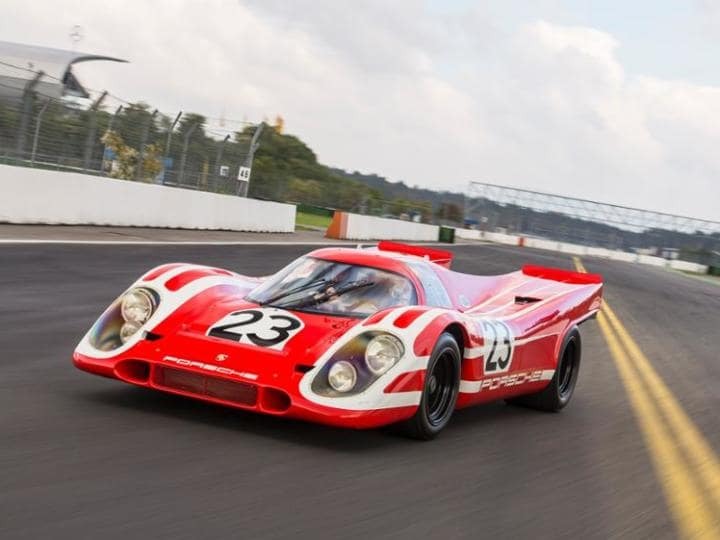 After the 1971 season the regulations of the World Sportscar Championship were changed once again and the 917 was no longer eligible to participate. But it continued to win – at the Can-Am series in North America and the Interserie in Europe – a total of 37 times up to 1975.